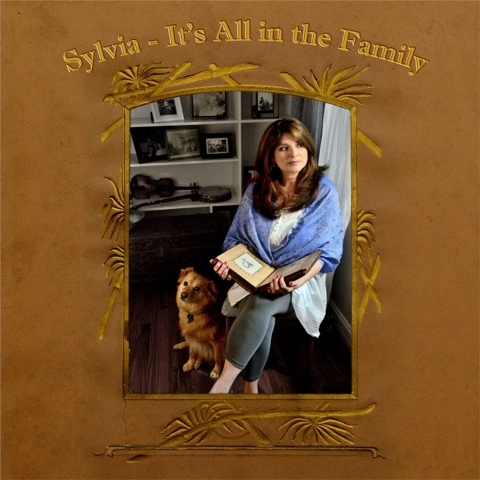 NASHVILLE, Tenn. (September 14, 2016) – Country chart-topper Sylvia is gearing up for the release of her new CD It’s All in the Family. It will hit music retailers on October 7th. This recording marks the ACM “Female Vocalist of the Year” winner’s first album release in 14 years. The 12-song album was produced by Sylvia and her longtime collaborator John Mock. Fans can pre-order the album now! Those who pre-order the digital album at iTunes will receive two tracks instantly, and those pre-ordering the physical CD at CD Baby will receive an autographed copy! "I hope this music inspires and encourages people of all ages to continue to create in whatever genre brings them joy,” stated Sylvia. “I have found that there is no age limit on creativity. Your best work is ahead of you! I've felt like a kid again making this record, and I can hardly wait to share it with the world!" Known for her long list of huge hits like “Nobody” and “Tumbleweed,” Sylvia has a history of creating long-lasting fan favorites. Future classics from the upcoming album include the title cut, “All in the Family” a story told by a grandmother to her granddaughter over an old family photo album and “Every Time A Train Goes By,” a true story from Sylvia’s childhood, which is an empowering anthem about facing one’s fears, and in doing so, gaining confidence and courage.